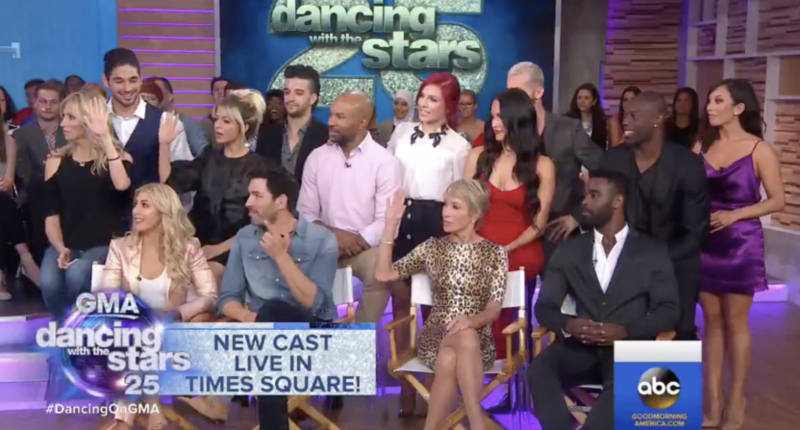 ABC revealed the cast for the 25th season of Dancing with the Stars on Wednesday, and as usual the sports world is well represented with former wide receiver Terrell Owens, ESPN personality Victoria Arlen, ex-NBA player and coach Derek Fisher and WWE wrestler Nikki Bella competing. Football players have fared well — and worn some insane costumes — on Dancing with the Stars in the past, and Owens has an experienced partner in two-time champion Cheryl Burke. Past champions include running backs Emmitt Smith (who won with Burke in Season 3) and Rashad Jennings (who won last year) as well as wide receivers Donald Driver and Hines Ward. And we all know from T.O.’s playing days that he has plenty of moves. Fisher, on the other hand, was never known around the NBA for his moves. After standing barely moving his feet in the reveal segment, he received a less-than-inspirational video from his former teammate Kobe Bryant. While there’s plenty of teasing to go around there, Arlen’s connection to Dancing with the Stars is much more serious. She was diagnosed with transverse myelitis and acute disseminated encephalomyelitis at 11 years old, leaving her in a vegetative state for four years with little chance of survival. The 22-year-old managed to recover and began walking again less than two years ago. As far as the non-sports-related cast members go, this season’s group is composed of actor Frankie Muniz, Shark Tank personality Barbara Corcoran, actor-singer Jordan Fisher, singer Debbie Gibson, Pretty Little Liars actress Sasha Pieterse, violinist Lindsey Stirling, TV personality couple Nick and Vanessa Lachey and reality TV star Drew Scott.